Google is currently testing the feature with a small pool of users. Good news if you hate that stop-start-stop-start experience when trying to watch YouTube on a slow connection: Now the Android YouTube app will buffer videos all the way to the end. Android Police is reporting that a new version of the Android app has been pushed out to a random selection of users for testing. In the new version, hitting pause while watching a video will cause an overlay to appear saying 'Buffering' and showing how much of the video is left to download. Once the video is fully buffered, it will say 'Ready to Play'. Previously, the app would only buffer a few seconds ahead, meaning your connection would have to be fairly consistent in order for you to watch long videos without being driven crazy. 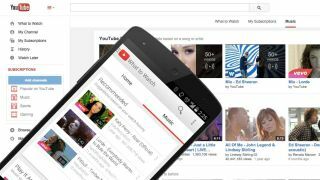 Interestingly, the new feature comes just as Google has launched YouTube Red, a subscription service that in addition to premium content offers users the facility to download videos to watch offline (currently only available in the US). The potential downside to such a new feature could be that it will hurt people with low data allowances; one sufficiently long video could conceivably eat through all of your data even if you don't intend to watch all of it. But broadly this seems like a good idea to us – not least because it should make it easier for you to watch all of our videos.